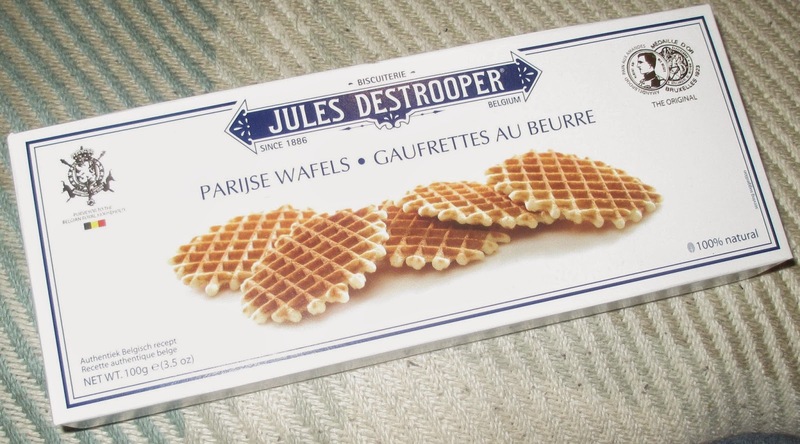 There are new biscuits from Jules Destrooper, they have launched these Belgian Butter Waffles. 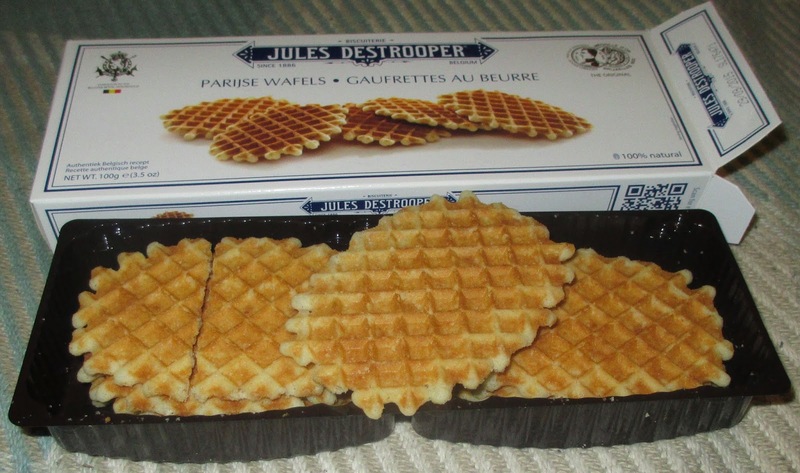 These aren’t the kind of waffles that you heat on your coffee cup, they are just a waffle shaped biscuit. Well I think that is the case, I didn’t heat mine and they didn’t seem to have any obvious gooey caramel to melt. I couldn't see any mention of it on the packaging either. I ripped into the box as I was in need of a biscuit fix, and something strange happened. The biscuits inside were bigger than expected. This never happens, it is always the other way round. You always open the pack and have a moment of disappointment, but with these there was a big smile on my face. The biscuits are fairly thin and even a bit delicate, but still look lovely and big. They are very light when you bite in, and pretty much melt in the mouth. The texture is magic, so crisp and yet airy. As a fan of interesting textures, these caught my attention. The flavour is sweet, caramel like with lovely buttery tones. They taste rich, but as the flavour only lasts a moment it never builds up to being too heavy. They would be perfect topping an ice cream, and they are fab on their own with cup of tea.